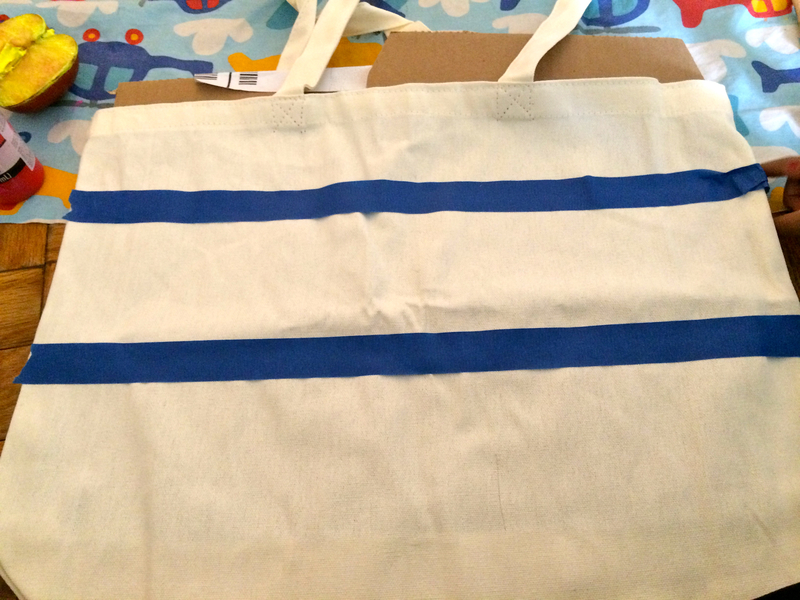 First start with tote bags – we used cotton canvas totes like these. Amazon carries tote bags or check local crafts stores like Michael’s. In order to make this project really easy for little ones, it’s a good idea to use painters tape to mark off the area where they will stamp. It gives them a rough guide for where to place the apple stamp each time. Of course, you can always just let them stamp all over and be creative! Stock up on some fabric paint. We used red and yellow for the apples and green for the stems. 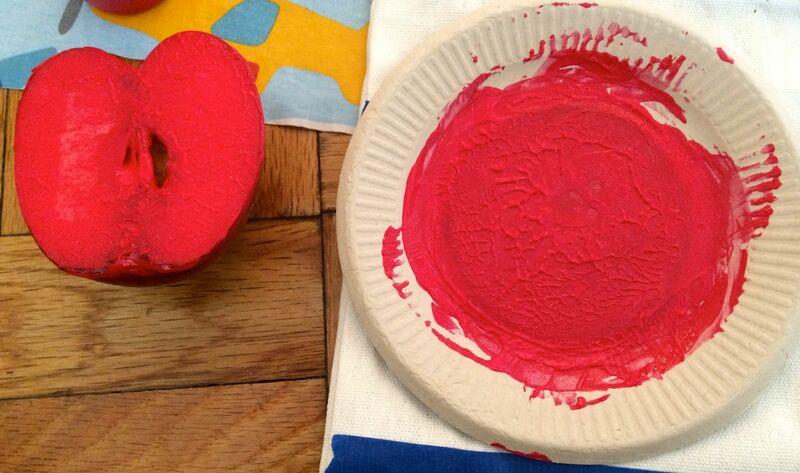 Squirt the paint onto the plates – note: kids LOVE helping with this part! Cut the apple in half (this is obviously a grown up job) and then let the little ones smear the apples in the paint. 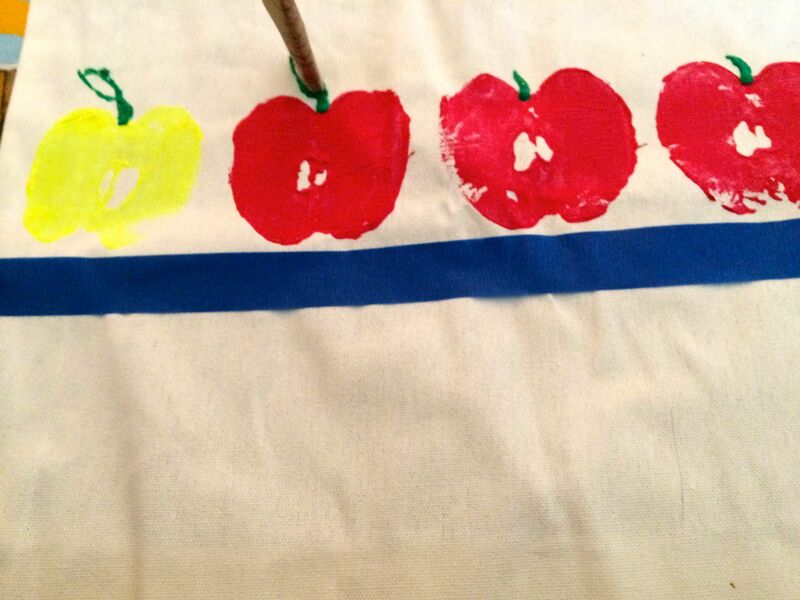 Make sure to really cover the apples with paint in order to get a good stamp design. Then stamp, stamp and stamp again! As you can imagine, this is the most fun part! Remember to reapply the paint each time. 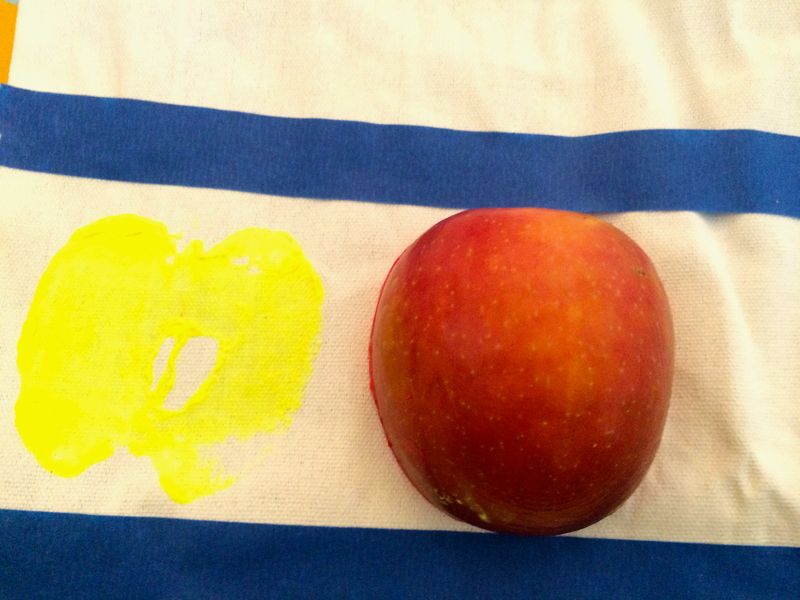 You can use a paintbrush to apply the paint onto the apple too. 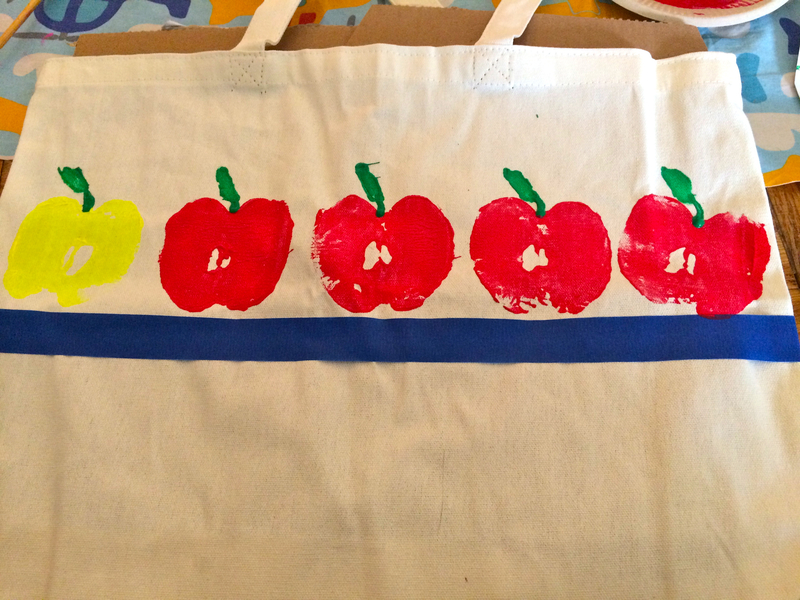 Draw a stem on each apple and then let the kiddos paint on the leaves with a paint brush. Alternatively, you can try this little craft project – I used a toilet paper roll to make this great leaf stamp. It was much easier for Little M to dip the roll into the paint and stamp the leaves onto the stems. 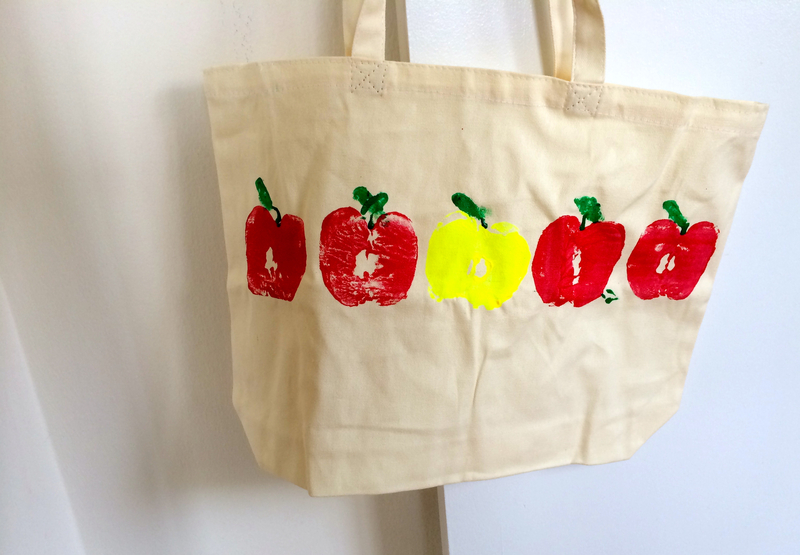 Let the paint dry, remove the tape and ta-da: you have a beautiful apple print tote bag!